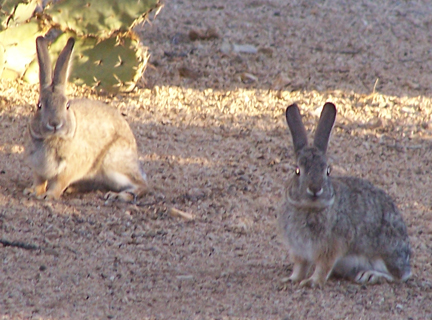 The Cottontail Club…Where great bunns like to party! Warning: This post may be slightly offensive…. It contains a ridiculous amount of corny puns…but what else can you do when you write about bunns? Bunns, bunns everywhere! (Rabbits, that is…)We’ve had a bit of a hop-ulation explosion in the past couple of years…. I expect the next few weeks things are really going to be hoppin’ around Todd’s Backyard. Lot’s of bunns in the oven this spring and the arrival of many new little bunn-dles of joy. The Cottontail Club is not particularly exclusive… members only require a ‘hip-hop’ vibe. 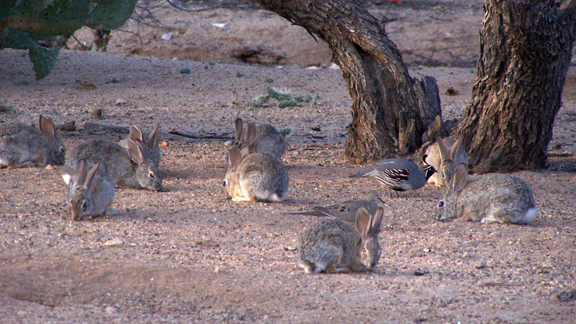 So, you may not be surprised to see quail, doves and dirt monkeys join their early morning and afternoon parties. 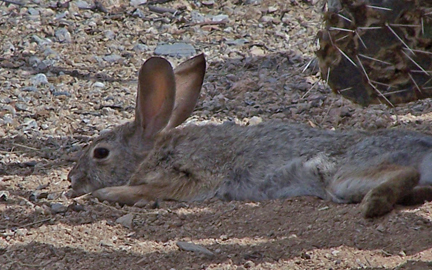 When they’re not grazing, playing or partying, the bunns like to find a rab-bit ‘o’ shade and hunker down. Zoe would love to join the Cottontail Club, but she certainly lacks that ‘hip-hop’ vibe. 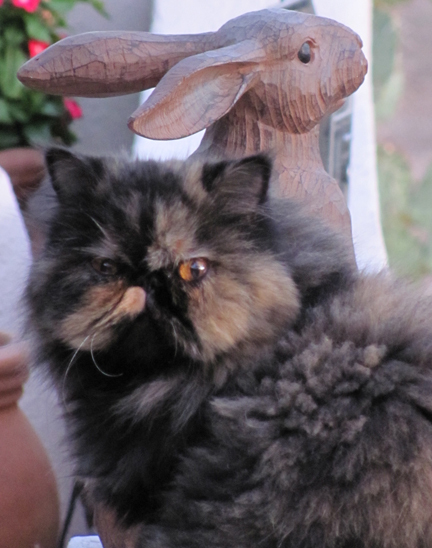 Besides… A crazy cat in the crowd, could put a little damper in their scamper! OK! OK! …enough! Somebunny stop me now!! ← Gotta Love the Doves! Thanks Jennie! Glad you enjoyed….Todd thought it was too silly! Oh, well, gotta have some sense of humor, huh?